ON A RECENT EVENING I was kayaking with my friend John on Little McNary Lake, about fifteen miles west of downtown Portland, when we came across a lone killdeer piping for an insect dinner along a muddy shore. We’d been paddling through the gathering dark and had already seen a dead cow on the banks, scavenged up to its waist by turkey vultures and other opportunists. Feeling macabre, we pulled our boats up close until, hit by the smell, we made serious haste in the opposite direction. Further on, perched in the trees of a shadowed dell, the silhouette of a Great Horned Owl drove home the feeling that we were trapped in a horror movie, gliding unwittingly toward our demise. By the time we spotted the Killdeer’s raised eyebrow through binoculars, we were genuinely creeped out. This might have something to do with the fact that the Killdeer seems perpetually alarmed. A solid black band rises urgently above its eyes, giving the impression that it always has something Very Important to tell you. I pointed out the eyebrow to John. “I think it’s trying to tell us that the dude from Scream is about to jump out of the bushes and slash us,” I said, kidding only a little. John had a different interpretation. “I think it feels guilty about the deer,” he said. Despite its menacing name, which actually refers to the sound of its call (a piercing “kill-dee”), the Killdeer is no killer. Neither is it a harbinger of bad omens—at least not in any officially symbolic way. On the other hand, if a can-do attitude and sheer energy were all that was needed to take down a deer, I’d put my money on the Killdeer, though really, it just doesn’t have the body for it. Like all plovers, Killdeers have a shortish, blunt bill designed to poke around in soft ground, not hook and shred large mammals. At their largest, they reach only eleven inches long—about the size of an adult Robin—not exactly the physique of a master hunter. They also have an almost supernatural sense of tolerance, nesting in the open on gravel or pathways, and have been known to let people get right up next to a nesting site. 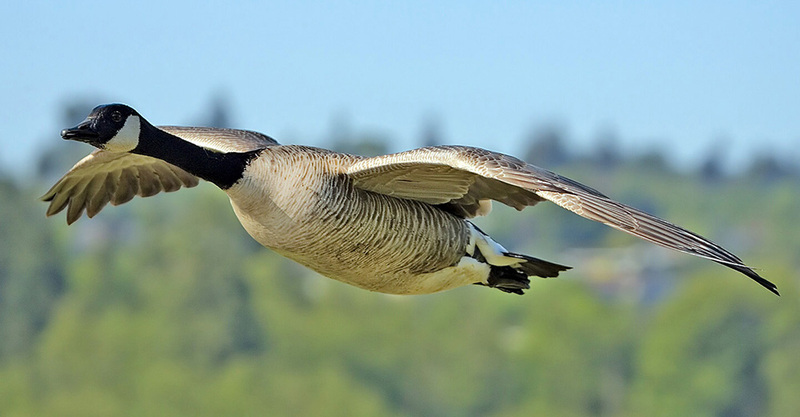 It is in the bird’s response to predators, though, that we learn something of its non-violent and industrious spirit. When the moment comes, as it inevitably does, that the Killdeer fears for the safety of its young, it enacts an ingenious bait-and-switch. As potential predators wander too close to a Killdeer’s nest, it flies out to an open spot away from the nest, crooks its wing, and hobbles around on the ground as if it has been injured. With this brilliant ruse, it lures the predator toward itself—away from the nest—and then flies away no worse for the wear, leaving the predator confused and, I suppose, not a little ashamed. Ah, but if human security concerns were handled in such an intelligent and delightful way! I’ve also found in the Killdeer a special physiognomy that has brought me back to its page in my bird guide again and again over the several years that I’ve been lazily watching birds, because apart from its graceful problem-solving skills—which are impressive, to be sure—the Killdeer also has a unique expression. Some birds have mild expressions: gulls appear to be smiling, geese look irritated, and hawks project consternation. But most birds look essentially expressionless. The Killdeer’s visage, however, is somehow more urgent than any bird I’ve seen: it implores. It’s one of the reasons I love it—when I study its photo in my bird guide and look into its eyes, I feel like we’re communicating. And out on the shore of Little McNary, I’m looking for connection, a message from the Killdeer: I know you. I have something to tell you. Come closer. I realize that imputing to the Killdeer my own human concerns is a bit of a sticky wicket. Paul Theroux, writer and gozzard, might say that my desire to anthropomorphize the Killdeer in this way reflects a “deficiency of observation,” a failed empiricism operating “against nature.” Or in any case, his essay “Living With Geese” condemns E.B. White for such a desire. White was a gozzard himself, and he wrote about his geese—and the raccoon family in his trees and his cantankerous dachshund—in human terms. To Theroux, a perspective like White’s—like mine—is more than just silly, it’s ethically bankrupt. It’s not a new argument. We’ve heard a lot about how anthropomorphizing animals and other non-human beings distorts, and, in the worst cases, aids in the destruction of the natural world. If you’ve ever seen Werner Herzog’s documentary Grizzly Man, you know that projecting human desire and concern onto animals really is a dangerous business—dangerous for humans, yes, but more importantly, dangerous for animals. A Grizzly killed Tim Treadwell; humans, in turn, killed the Grizzly, though it had simply acted out its Grizzliness. This is an old argument, the logic of which I accept. But it’s an argument that I bump uncomfortably against every time I look at my bird guide, every time I see a Killdeer through my binoculars. It’s one thing to know objectively that animals occupy their own worlds quite outside ours—as Theroux says about his geese, they “live in a goose-centric world, with goose rules and goose urgencies”—but it’s another thing altogether to internalize that objectivity, though that can be especially difficult when the animals under the lens are so darn cute. Animal cuteness, of course, is no reason to eschew objectivity. 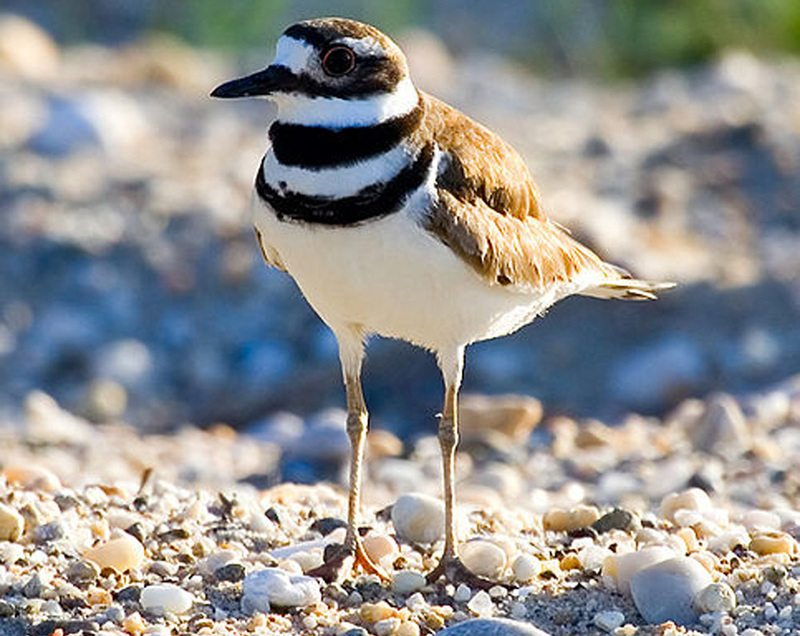 Just because, like White, I see human correspondence in the raised eyebrow of the Killdeer doesn’t mean I should give in to interpretations that flow from that observation. Or does it? Animals are, after all, suggestive—they touch our imaginations. Isn’t it possible that it also goes “against nature” (what did Theroux mean by this anyway?) to believe that what animals feel doesn’t bear at least some resemblance to human feeling, as if we weren’t also part of the animal kingdom? When White describes one of his geese as “grief-stricken,” is it really the deficiency of observation that Theroux claims it is? THINK, FOR INSTANCE, about the story of Ozzie and Harriet, a monogamous North American river otter couple who lived at the Oakland Zoo during the time that my friend, Jeanne, worked there. The pair of otters, who had one kit, Willow, together, were a hit at the zoo, as otters typically are. To zoogoers, otters, more than most other animals at the zoo aside from primates, can seem as though they are performing for the benefit of onlookers. They are naturally busy and excited creatures, who spend the day sliding and swimming with youthful delight. When they catch your eye, they stare back at you with animated faces framed by an endearing nimbus of whiskers, bearing an uncanny resemblance to the faces of those most beloved of pets, the cat and the dog. Perhaps it was this sense that river otters exist for our pleasure—that one could maybe even be our pet—that led to Harriet’s disappearance in the middle of a June night in 2000. When zookeepers made their rounds at 8am the next morning, they found Harriet—along with her carrier, which was housed in an adjacent equipment shed—missing. Because humans have made an ancient habit of owning, and in some cases domesticating, exotic animals, it shouldn’t come as a surprise to learn that it’s not all that uncommon for zoo animals to be stolen. For better or for worse, it’s even less surprising to learn that someone would want to possess a river otter. After all, the cuteness of river otters is blinding. And their play—well, their play is just so human. Projection, possession, and destruction. These, according to Theroux—and evidenced so many times in the history of animal-human relationships—are the end stops on the slippery slope of noticing and ascribing to animals hu-man characteristics, human feelings, and human urgencies. 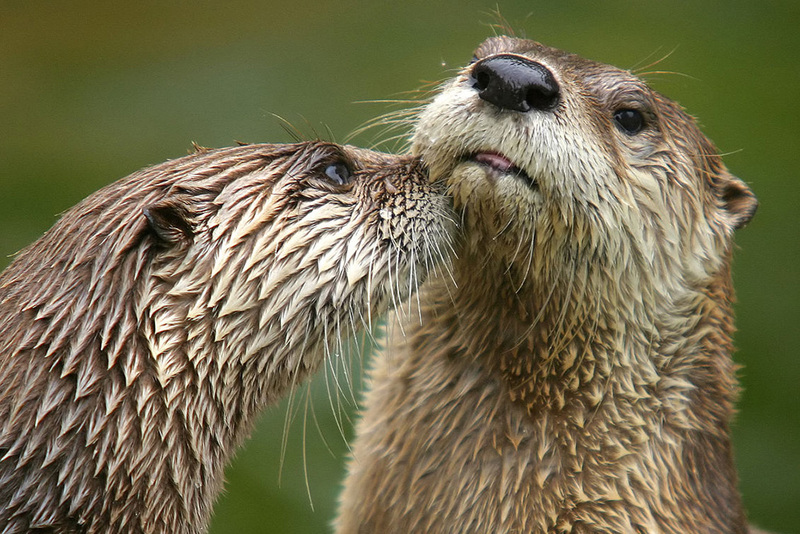 After Harriet’s abduction, Ozzie—her mate of twelve years—had an otter breakdown. He paced, he refused food, he groaned. Any observer, deficient or not, could rightly claim that Ozzie’s behavior, even if borne of otter-urgencies we can never understand, was the behavior of grief. This is our human word for it, but I’m using it to describe Ozzie because, in so many ways, his behavior so closely resembles what we might do if we, too, suddenly lost a loved one. His behavior is suggestive of ours, and ours of his. I suppose it’s this suggestiveness that draws me to birdwatching in the first place, and draws me to the Killdeer in particular. In almost every way, humans are utterly different from birds. At the same time, though, we can admire an alert eye, or a certain ingenuity in the face of danger; we can see in the Killdeer’s attention to its young a correspondence with our own desires to nurture and protect; we can interpret its eyebrow in the context of a creepy boat ride. Every day—with our pets, with the animals in our trees and parks—we walk the shadowy line between our correspondences with and alienation from their world. I can’t help but think that the connection I experience between myself and the Killdeer is as fundamental and as important as our division. Out on Little McNary, the Killdeer finally decided that we’d pulled our boats too close, and it took to the wing with a screeching kill-dee to let us know. John and I took the point, but continued to watch it through our binoculars as it made its way to some other shore to resume its birdly activites. All told, I may be looking at the animals of the world in which I live with human-centric, binocular-augmented eyes. But, really, what others can I use? Keri Thomas writes and makes films in Portland, Oregon.